ATLANTA, December 21, 2001 — According to a recent study released by the Consumer Electronics Association, some of the top electronic gifts consumers plan to purchase this holiday season include a long list of portable electronics products – including DVD players, portable CD players, digital cameras and cordless and cellular phones. Many people may not know that the rechargeable batteries that power the portable products on their gift lists, such as laptops, cordless power tools, wireless phones and even remote controlled toys, can and should be recycled when they can no longer hold a charge. Follow the charging guidelines provided by the manufacturer. Depending on the individual product, there are specific initial battery charging times (usually overnight) before using the product for the first time. This will enable you to obtain maximum battery capacity. Let your battery cool to room temperature before recharging. The charge efficiency of most batteries is greatly reduced at elevated temperatures. Recharge batteries when they are near to fully discharged. You can tell that a battery is discharged by a sharp drop in power or speed. 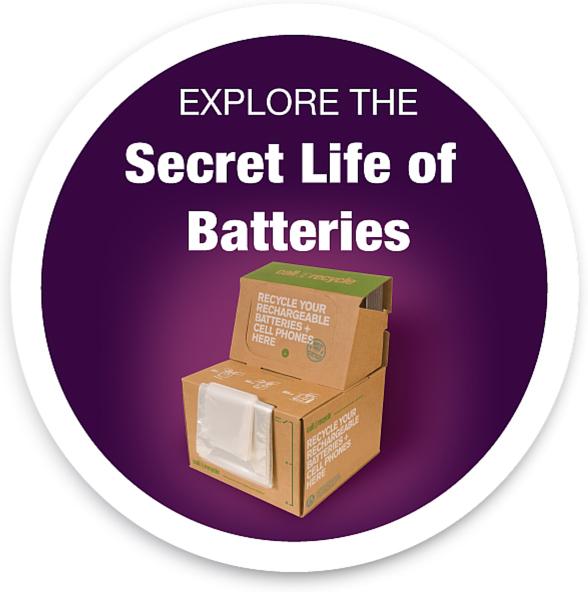 Keep the contact of rechargeable batteries clean – wipe them with a cloth soaked in alcohol. Never return a fully-charged battery to the charger for an extra boost. This will overcharge the cells and shorten the life of the battery. Never leave your cellular phone, camcorder, etc., in the charger when not charging, unless approved by the manufacturer’s instructions. Don’t use your charger as a stand! Continuous charging will shorten battery life. If your rechargeable battery will no longer hold a charge, don’t throw it away – recycle it! Call 1-800-8-BATTERY or go online at www.rbrc.org to find the nearest retail site or recycling center. charities. For more information, call 877-2-RECYCLE or visit www.call2recycle.org.